According to Tibetan philosophy of wellness the body energies need to flow freely to create a longer, healthier life, and to promote an overall sense of calmness and well-being. 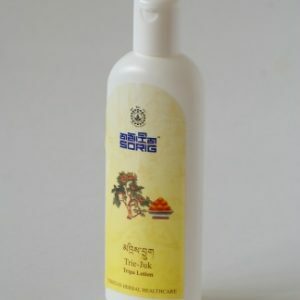 This relaxing and toning massage oil is based on that philosophy. The special blend of Himalayan herbs in the oils helps move and stimulate the energy flow throughout the energy channels and muscles of the body. The herbs penetrate deeply into tired and congested muscles, breaking down impurities in the muscles and inceasing the oxygen level, so promoting relaxation and reducing stress. Stimulation of the body cells and improving circulation also result in toned muscles, helping to reduce excess body fat, leaving the skin looking and feeling rejuvenated whilst also promoting a greater sense of calmness and well-being. According to Tibetan philosophy of wellness the body energies need to flow freely to create a longer, healthier life, and to promote an overall sense of calmness and well-being. 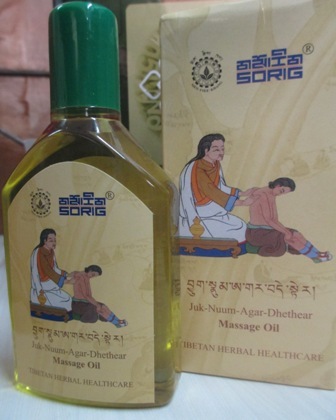 This relaxing and toning massage oil is based on that philosophy. The special blend of Himalayan herbs in the oils helps move and stimulate the energy flow throughout the energy channels and muscles of the body. 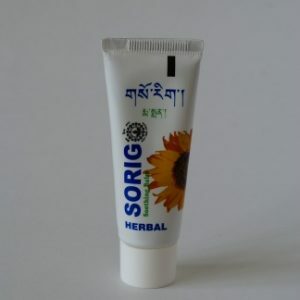 The herbs penetrate deeply into tired and congested muscles, breaking down impurities in the muscles and inceasing the oxygen level, promoting relaxation and reducing stress. Stimulation of the body cells and improving circulation also result in toned muscles, helping to reduce excess body fat, leaving the skin looking and feeling rejuvenated whilst also promoting a greater sense of calmness and well-being. 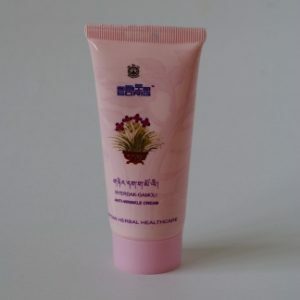 INGREDIENTS: Helianthus annus, Sesamum indicum, Zingiber officinale, Tinospora cordifola, Rubus sp, Bombax ceiba, Ammomum subulatum, Myristica fragrans, Carum carvi, Curcuma longa, Adatoda vasica nees, Swertia chirata, Elettaria cardamomum, Carthamus tinctorius, Syzygium aromaticum.